To stem the tide of illegitimate submissions on Greenlight, indie developers will need to pony up some cash. In recent years, many indie developers have attributed their mainstream success to Valve's Steam service. The digital platform exposed a massive gaming audience to several then-unheard of gaming gems, and Valve sought to expand these prospects with the voting service Steam Greenlight. Sadly, the service hasn't had the smoothest launch, not because to a design flaw on Valve's part but due to an inordinate amount of fake game submissions created by trolling Steam users. In response, Valve has made the following update to Greenlight's submission policy: All future submissions will require a $100 payment to be considered in Greenlight's voting process. 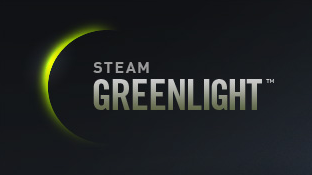 "The first update is a $100 fee for someone to post to Steam Greenlight," a recent Steam Announcement reads. "The proceeds will be donated to Child's Play. We have no interest in making money from this, but we do need to cut down the noise in the system." There are currently over 700 submissions on Steam Greenlight (not counting the multiple Half-Life 3 entries that were deleted) with more arriving every day. According to the new policy, legitimate submissions made under the old guidelines will remain active, but new submissions from prior developers will still require the $100 fee. The change is already gaining supporters and detractors, as the comments thread of the announcement is already proving. On the one hand, Valve needs some kind of system in place to keep the fake submissions under control, and charging a fee is perhaps the easiest way to do that. On the other hand, tacking a non-refundable fee onto Steam Greenlight less than a week after launch may send the wrong message to developers, especially if niche submissions cannot draw enough votes to progress to the publishing stage. In the grand scheme of things, the fee is probably well worth the exposure Steam would provide, considering that most serious developers will already have a budget for self-promotion costs. Still, forcibly switching from a free opportunity to a paid service is rarely ideal for anyone involved. Given the suddenness of the announcement, it wouldn't surprise me if Valve followed up with further tweaks and updates to Greenlight's submission process in the coming weeks.